Since their single “Knocking At The Door” blew up in 2017, the Arkells have been making waves in Canada and abroad. The track and video had them nominated for best single and best video of the year at the 2018 Juno Awards and Nielsen Music announced Arkells were the second most popular Canadian rock band on Canadian radio that year, behind the Tragically Hip, of course. Keeping with the momentum of “Knocking At The Door,” the Arkells released their album Rally Cry, in October 2018 to an excited fan base and stellar reviews. 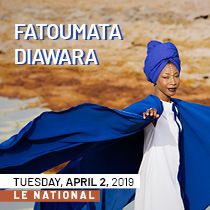 The album is high energy, down to earth and full of heart. The albums political undertones (I mean, it’s called Rally Cry), lead to the adoption of the album's track, Relentless by Ontario’s autism community as their battle cry in the fight against Premier Ford’s austerity measures which impact funding for families who have children with autism. 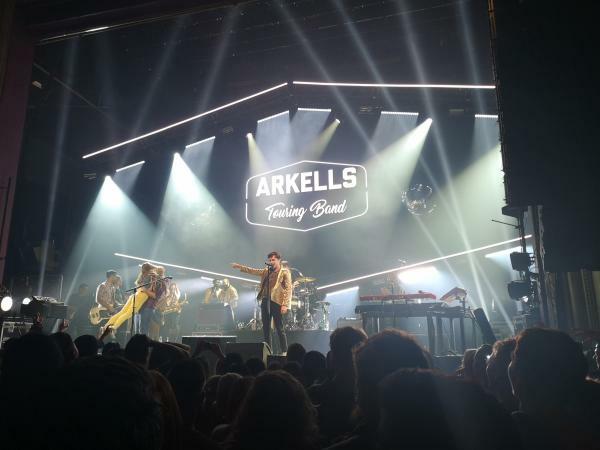 On February 19th, the Arkells ended the Canadian leg of their North American tour with a knock-out show at Montreal’s MTELUS. The groups frontman, Max Kerman started the show by holding up a sign reading “I’m in Montreal, still going strong,” and announced to fans that they were in a crisis. The concert was on a Tuesday night, and the Arkells wanted to end their tour with Saturday night energy. Mid way into their opening number, Kerman hopped off stage and wrote sick notes to star-struck fans and insisted we all rock out like we don’t have work in the morning. Once he returned to the stage, Kerman took a moment to remind us all that $1 from each ticket sale was being donated to the Canadian Council for Refugees, he described his own struggle trying to navigate Montreal without knowing French, specifically a story of how some local kids were making fun of him in French while he was playing basketball at the YMCA earlier that day. He used the light hearted story to emphasize that he “couldn’t even imagine” how difficult the language barrier must be for a new refugee. The Arkells followed this high energy and heartfelt intro by playing crowd favourites like “Leather Jacket” and “Knocking At The Door”. Then, a pay phone was rolled on stage and started ringing. Kerman revealed they had set up a song request hotline The audience heard long time fan, Lorenzo request, “Bloodlines,” an old song he’d never heard live. Lorenzo was invited on stage for the set and went all out on singing along with Kerman and the rest of the band. There’s no doubt the Arkells achieved that Saturday night energy. Background singers belted out notes through megaphones while Kerman jumped off stage again singing and dancing through the crowd before hopping on a bar and high fiving fans while singing. When the band finally walked off, the crowd was able to call them back on stage by singing a melody Kerman had taught them earlier. The band came back on and played Dancing Queen a woman from the audience wearing a rainbow fringe jacket came on stage and started dancing, soon her partner followed and they swing danced, the girl was being flipped in the air and flung around while Kerman shot looks for surprise to the crowd. What a way to end a tour. The Arkells really were still going strong in Montreal.